From the Presses of VOSA! Hey there! Thanks for dropping by Old Tyne & Wear Bus Timetables! Take a look around and grab the RSS feed to stay updated. See you around! 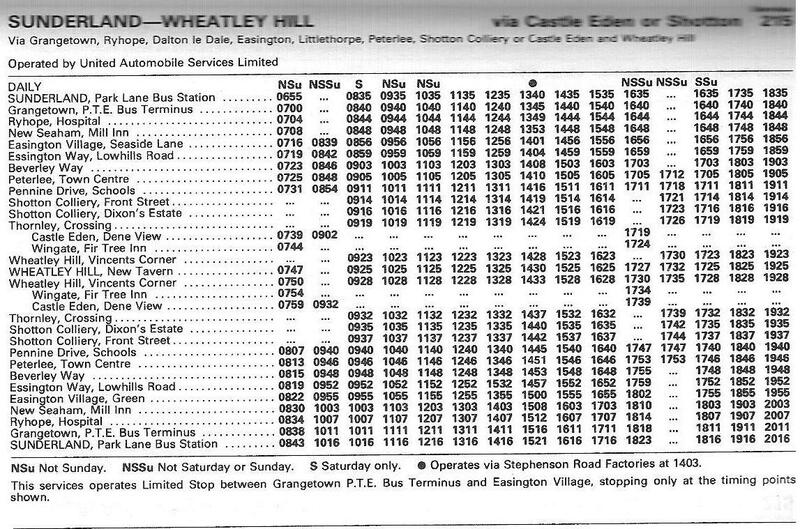 Wheatley Hill once had quite a few services operating into Sunderland. The ‘215’ is another example of this. 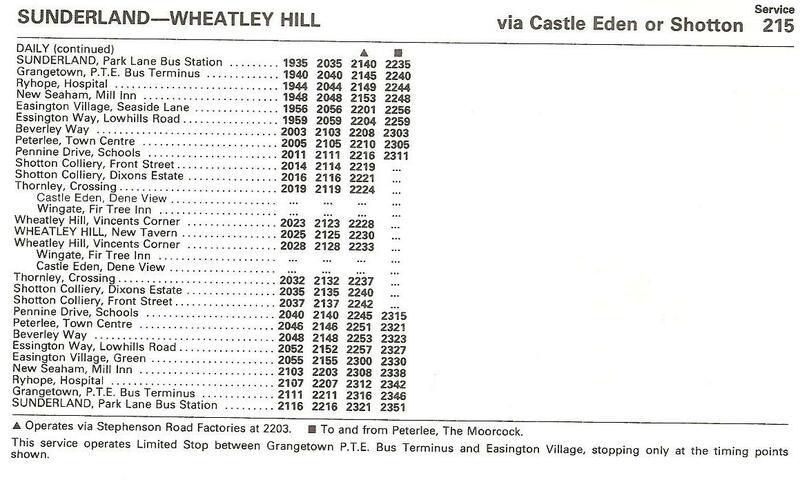 This service largely operated through Wingate, Shotton Colliery then onto Peterlee and up through Easington but a small number of journeys used to operate via Castle Eden too. The Mis-shaping of British Railways: A Retort by the National Union of Railwaymen. 588 Request. North East Buses Website.